HERE IS A CLOSER LOOK AT THIS 1969 SEARS MODEL 309. THEY WERE MADE FOR THE 1969 MODEL YEAR BUT I FIND ADS FOR THEM IN JANUARY 1971 AS WELL. SEARS WAS LIQUIDATING THEM AT THAT TIME IN JANUARY 1971. 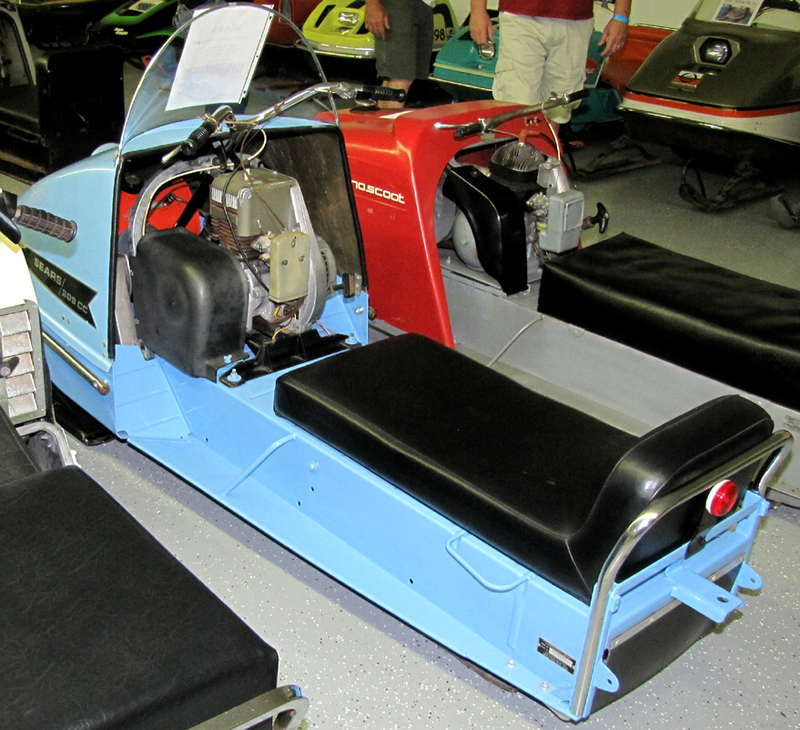 THEY HAD DIFFERENT SIDE DECALS FOR 1971 SEARS 309 MODEL. 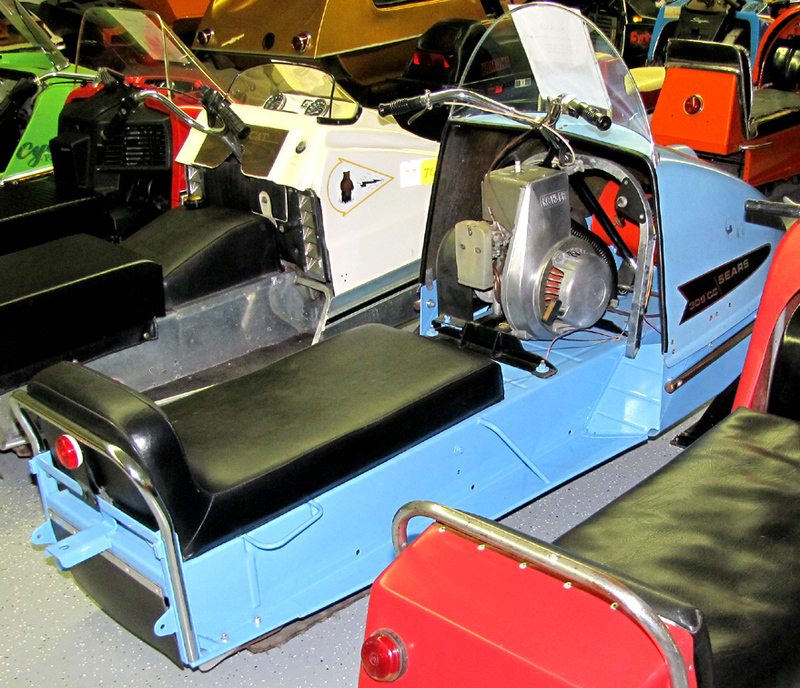 VINTAGE SNOWMOBILE MUSEUM WHICH WAS LESS THAN 5 MINUTES FROM THE SHOW. 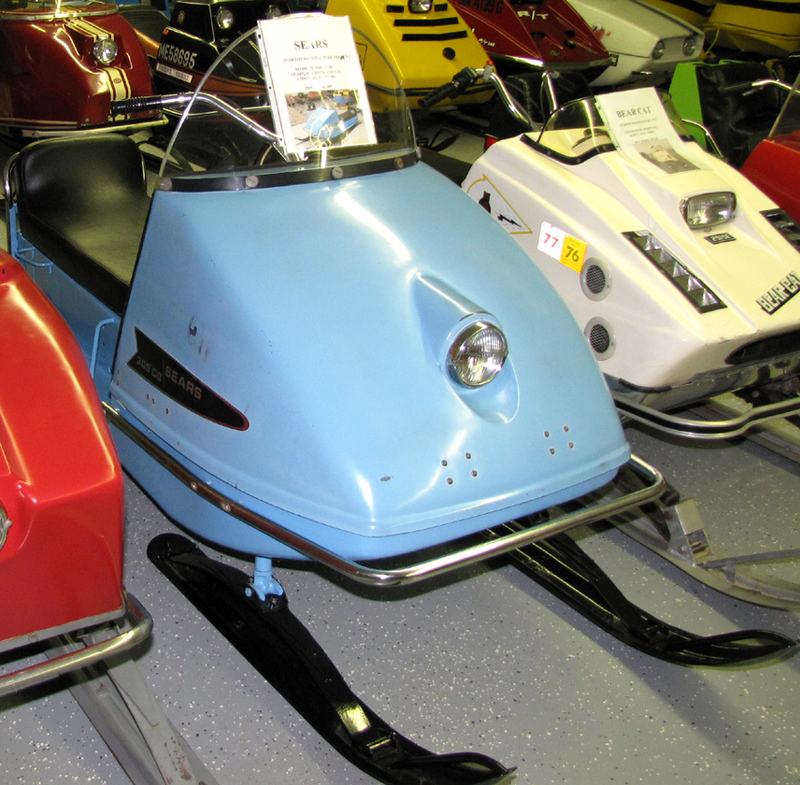 BELOW ARE SOME PICTURES FROM PAUL'S WONDERFUL SNOWMOBILE MUSEUM.